Weddings at sea provide guests and brides and grooms-to-be with an untraditional, but unforgettable experience. The options are nearly endless! Getting married while the ship is docked has its own advantages, because guests who can’t necessarily afford a full cruise can still be part of the wedding festivities. * Or, imagine getting married on a glacier in Alaska or a tropical paradise in the Caribbean….it’s all possible when your venue is essentially a floating hotel. Saying your ‘I Dos’ while the ship is sailing is also an option. 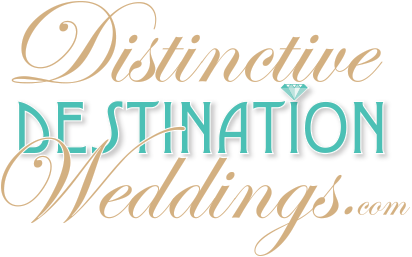 Cruise lines often provide an on-site wedding planner. Wedding planners know your venue inside-and-out, which is a huge advantage all in itself. A wedding planner also alleviates a lot of the stress that comes with planning your big day. Another advantage to weddings at sea is the cost. With the average wedding in the US costing $30,000,** there is tremendous savings to be had onboard. Many cruise lines offer a variety of packages to suit all budgets with add-ons available for an extra fee. Prices typically start at $2,000 and up, but vary by cruise line.